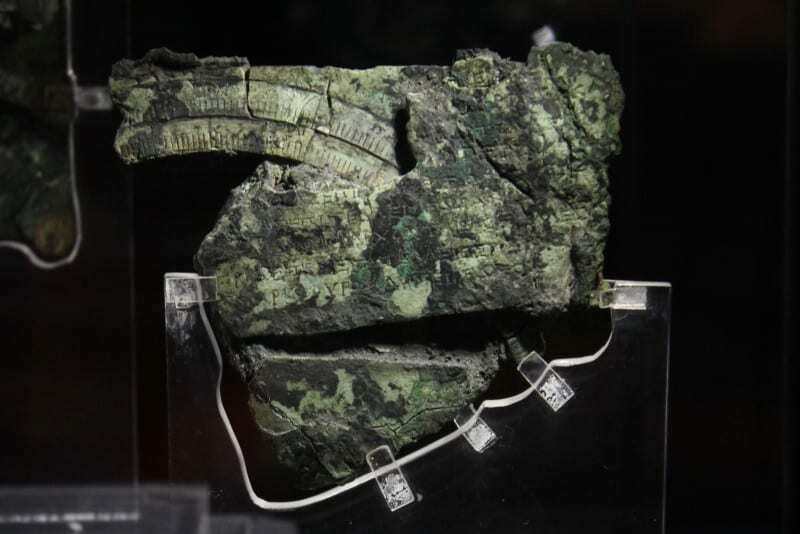 The Antikythera mechanism is the first known computer designed by man. it has been dated to 160BC, and was created in Greece – possibly the isle of Rhodes. Mad built a large scale replica for a documentary that aired in 2010 on the NatGeo channel. Here is the entire documentary, now available on YouTube – we thoroughly enjoyed this one! The Antikythera mechanism is an ancient analog computer designed to predict astronomical positions and eclipses for calendrical and astrological purposes,as well as the cycles of the greek games, of which one was held in Olympia every four years. The remains were found housed in a 340 × 180 × 90 mm wooden box, the device is a complex clockwork mechanism composed of at least 30 meshing bronze gears. Its remains were found as 82 separate fragments, of which only seven contain any gears or significant inscriptions. The largest gear is approximately 140 mm in diameter and originally had 223 teeth. Fragments of the artifact were recovered in 1900–1901 from the Antikythera shipwreck off the Greek island of Antikythera. Believed to have been designed and constructed by Greek scientists, the instrument has been dated either between 150 to 100 BC, or, according to a more recent view, at 205 BC. After the knowledge of this technology was lost at some point in Antiquity, technological artifacts approaching its complexity and workmanship did not appear again in Europe until the development of mechanical astronomical clocks in the fourteenth century. 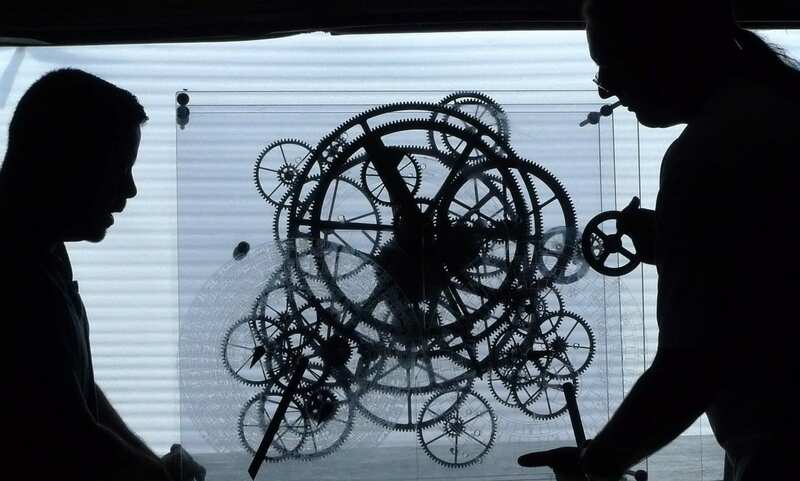 All known fragments of the Antikythera mechanism are kept at the National Archaeological Museum of Athens. Generally referred to as the first known analog computer, the quality and complexity of the mechanism’ manufacture suggests it has undiscovered predecessors made during the Hellenistic period, none of which have thus far been found. Its construction relied upon theories of astronomy and mathematics developed by Greek astronomers, and data developed over thousands of years of observations by the Babylonians. During the work on this project, we had the fortune to interface with Michael Wright, who is clearly one of the main sources of hard-earned information about the antikythera mechanism, and who has built a replica by hand to prove that the technology that would have been available at that time would have been enough to create this device.